Deborah Oluwaseyi Joshua (born 21 December 1985), professionally known by her stage name Seyi Shay (pronounced Shay-yee Shay), is a Nigerian based English singer-songwriter, recording artist, performer, and record producer. She wrote and produced three songs for the soundtrack to Konami’s video game Crime Life: Gang Wars (2005). She also wrote “You Will See”, a song that was included on Melanie C’s third studio album Beautiful Intentions (2005). Shay wrote “White Lies”, a song from Chip’s Transition album. In 2008, she became the lead singer for the now defunct pop girl group From Above. The group signed a recording deal with Sony/Columbia and was managed by Mathew Knowles’ Music World Entertainment company. 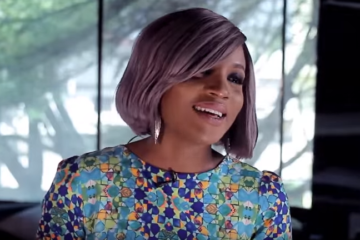 Shay is set to release her debut studio album titled Seyi or Shay. She has released the singles “Irawo”, “Ragga Ragga”, and “Chairman” to support the upcoming album. In November 2013, she signed an endorsement deal with telecommunications service provider Etisalat. Shay was born and raised in London, England to Nigerian parents. Her mother was from Northern Nigeria and her father is a native of Ife. She has two elder brothers and an older sister. She and her siblings were raised by their single mother. Shay grew up in a religious setting and felt like a single child during her adolescence. She started visiting Nigeria when she was two years old, and eventually attended the Command High School in Maryland, Lagos. She went back to London to complete her undergraduate studies. Her interest in music was influenced by members of her household. Her late mother was a chorister and her sister used to compose songs for TV. Moreover, her brother was a radio and club disc jockey. Shay started performing at the age of 6, and was part of her secondary school choir. She performed for the London Community Gospel Choirduring their world tour, which included 13 cities in Japan. Shay was applauded for her performances in Japan. She studied music at a local UK college, and went on to study Business Management at the University of East London. In an interview with Lanre Odukoya of Thisday, Shay said that her mother wasn’t a staunch supporter of her musical ambitions. Moreover, her mother wanted her to become a doctor or lawyer. Prior to departing the Earth, her mother told her to focus on her music career and put God first. Her music career took an upswing when she signed her first ever record deal with No Apology, a record company affiliated with George Martin (commonly referred to as the “Fifth Beatle”). In 2006, Shay formed a girl band in the UK called Boadicea; they were managed by Ron Tom, the founder and manager of All Saints and Sugababes. The band separated after two years, and Shay decided to partake in the From Above UK singing audition. After the conclusion of the audition, she emerged as the lead vocalist for the aforementioned defunct group. The group consisted of five girls, including Shay. They got signed to Mathew Knowles’ management company after performing for him. They were taken to Houston to undergo energetic vocal and dance trainings. The group supported Beyoncé while she was in the UK for her I Am… World Tour. They presented an award at the 2011 MTV Europe Music Awards and had their own MTV reality show called Breaking From Above, which aired in over 166 countries around the world. The group later disassembled and Shay had an opportunity to continue her management deal with Matthew Knowles, as well as secure a recording contract with Sony. Shay decided to joined Flytime Music after getting an offer from them. Shay has worked with a number of musicians, including Justin Timberlake, Brian Michael Cox, Darey, Bilal, Michelle Williams, Chip, Rob Knoxx, H-Money, and Cameron Wallace. Shay was introduced to Sound Sultan during his visit to London in 2011. 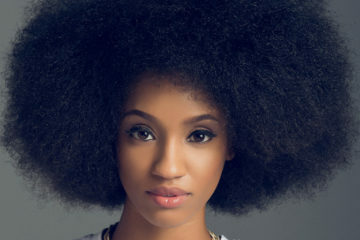 After listening to some of her demos, Sultan convinced her to relocate to Nigeria and pursue her musical career there. During a project with Sound Sultan in the UK, Shay was introduced to Cecil Hammond of Flytime Promotions. 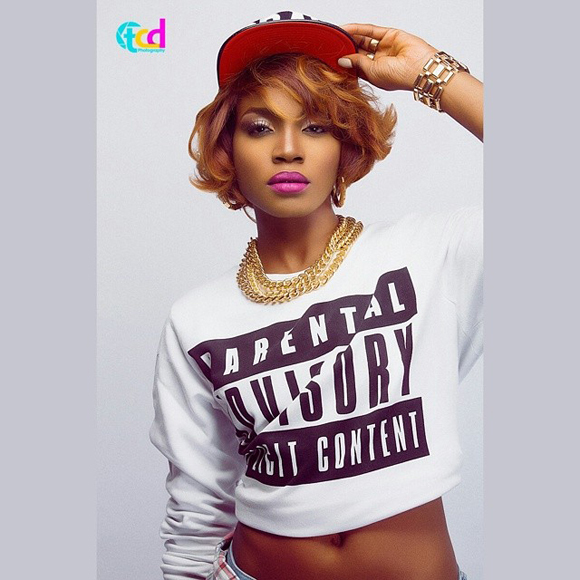 Hammond signed Shay to his record label (Flytime Music) and decided to launch her solo career in Nigeria. In 2013, Shay departed the record label. 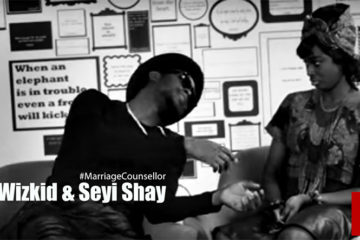 During a November 2013 interview with Kehinde Ajose of Vanguard, Shay said she joined Flytime Music to promote her brand. She said that while signed to the record label, she was very much in control of her brand. Moreover, she said she still has a relationship with the label. 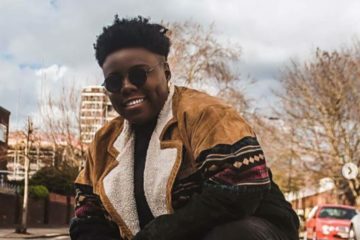 Although her musical style is primarily a combination of Afropop and R&B, Shay doesn’t conform to a particular genre of music. She believes that her musical prowess spans different genres. She also said that her music draws from things that inspire her. 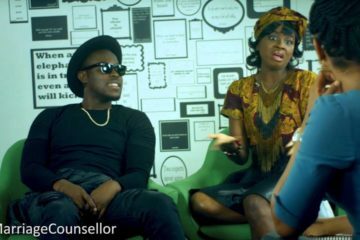 Shay has cited her mother, Matthew Knowles, 2face Idibia, Beyoncé, Tina Turner, Sound Sultan, Wizkid, and Omawumi as mentors. Shay performed at the 2013 COSON song awards. In July 2013, she performed at one of Big Brother Africa 8’s live eviction shows. On 20 July 2013, she performed in Asaba for the 2013 edition of Star Music Trek. On 27 September 2013, Shay graced the stage at the Sisters with Soul concert, which was headlined by Mary J. Blige. On 20 November 2013, she performed “Bad” with Wale at the Johnnie Walker Step Up to VIP Lifestyle Launch event (held at the Oriental Hotel, Victoria Island, Lagos). Shay was a supporting act on the 2013 Hennessy Artistry 2013 Club. In December 2013, she performed at the Harp Rhythm Unplugged concert. On 15 February 2014, Shay performed at Darey’s Love Like A Movie Concert alongside Kelly Rowland, D’banj, Tiwa Savage, Mo’ Eazy, Zaina, Timi Dakolo, Waje, Muna, JJC and Eva Alordiah, among others. Shay is currently working on her upcoming debut studio album. Work on the album started as early as 2011. 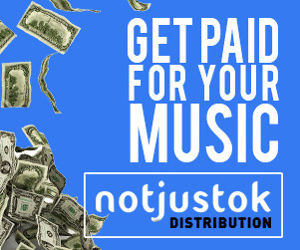 Shay has worked with a number of producers in Nigeria, including Jay Sleek, Tee Y Mix, Del B and Cobhams Asuquo. On 11 August 2011, she released “Loving Your Way” and “No Le Le”, two promotional singles that helped launched her singing career in Nigeria. On 27 July 2012, Shay released “Irawo” as the upcoming album’s lead single. 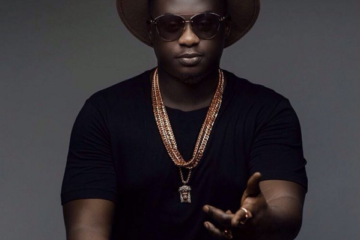 The song was produced by Del B and was originally titled “Erawo”. During the aforementioned interview with Ajose, Shay said that she wrote “Irawo” to inspire her colleagues and workmates to pull together. The music video for the song was shot and directed in Nigeria by Clarence Peters. It was uploaded onto YouTube on 3 June 2013, at a total length of 3 minutes and 47 seconds. 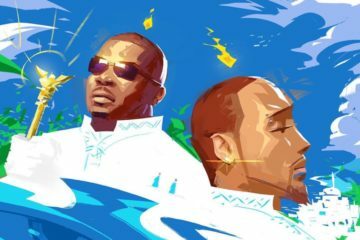 The remix of “Irawo”, featuring Vector, was released on 6 December 2012. In August 2013, Shay released the album’s second single “Killin’ Me Softly” featuring Reggae singer Timaya. 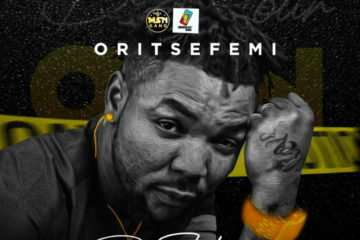 The song was written and produced by Del B. Shay told Ajose that she felt in love with the song when she first heard it. 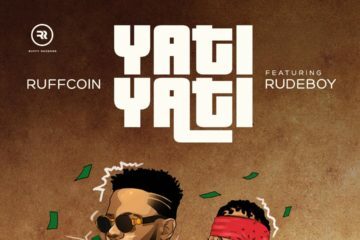 Moreover, she reached out to Timaya for a verse because she wanted a different vibe on the song. On 6 October 2013, Shay released “Ragga Ragga” and “Chairman” as the third and fourth singles from her upcoming debut studio album. The songs were produced by Del B. 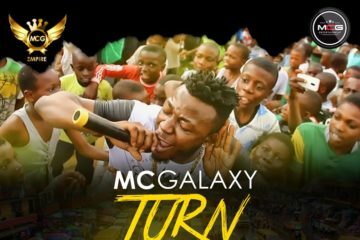 The latter features vocals from KCee, a recording artist who was present during the song’s composition. Prior to releasing the singles, Shay signed a partnership deal with the international talent company J-Management. On 8 January 2014, Shay released the music video for “Ragga Ragga”; it was shot and directed in Lagos by Peters. “Ragga Ragga” peaked at number 7 on MTV Base’s Official Naija Top 10 chart from 15 March through 19 March 2014. 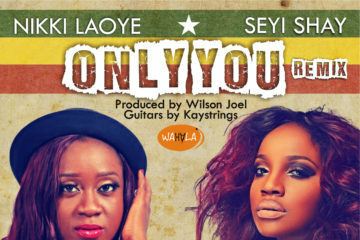 In May 2013, Shay told Lanre Odukoya of Thisday that she recorded a single with Olamide. She said that working with him was easy because of their work ethic. She told Odukoya that the song, written by Olamide, will be released in 2014. 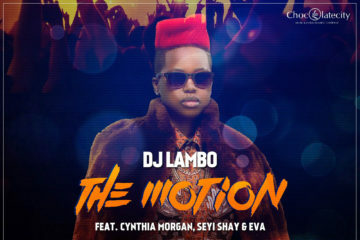 Shay has been featured on the records of several promising artists, including Praiz, Mr. Walz, Yung GreyC and Amir. 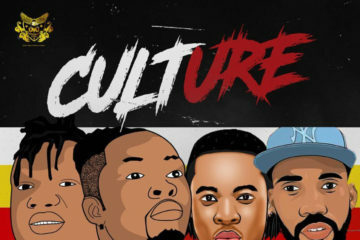 On 1 April 2014, Shay released “Murda” featuring Patoranking and Shaydee. The song was produced by Dokta Frabz. 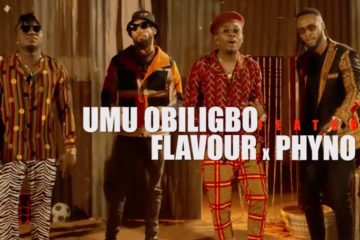 Aribaba of Jaguda gave the song 9 out 10 stars, saying “Seyi Shay’s flow is clean, comes as the perfect ying to Patoranking’s yang. The use of familiar lyrics “Don’t know what you’ve got till it’s gone” makes the first time listening experience even more enjoyable.” On 11 May 2014, the music video for “Murda” was uploaded onto Vevo. It was directed by Meji Alabi for JM Films. Upon her arrival back to Nigeria, she bagged a cover page personality for one of Nigeria leading youth magazines and from there she has gone on to feature on several other magazine covers including Exquiste magazine.